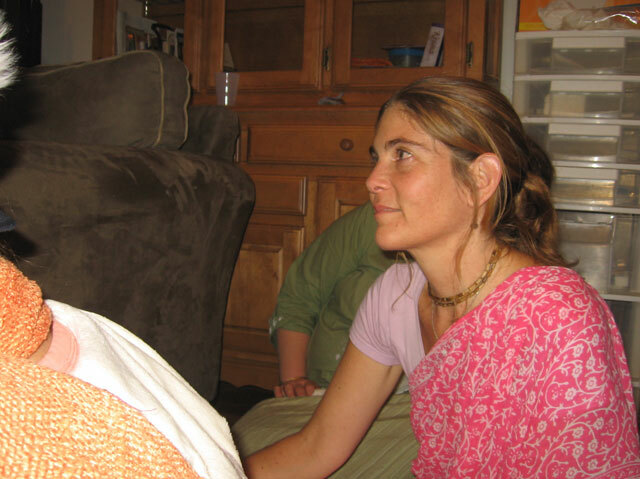 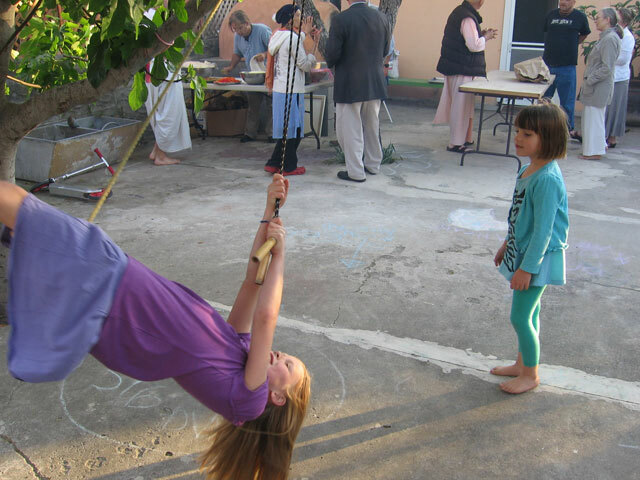 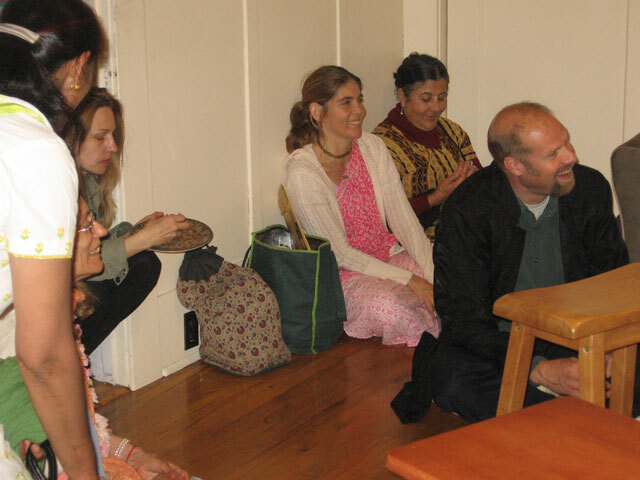 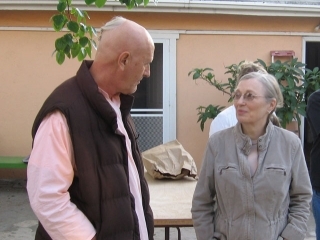 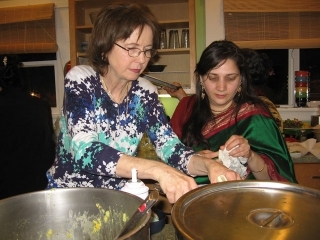 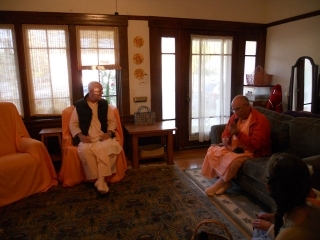 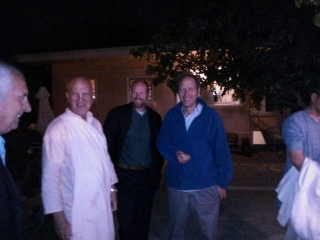 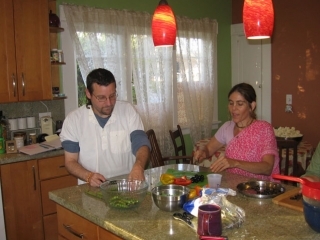 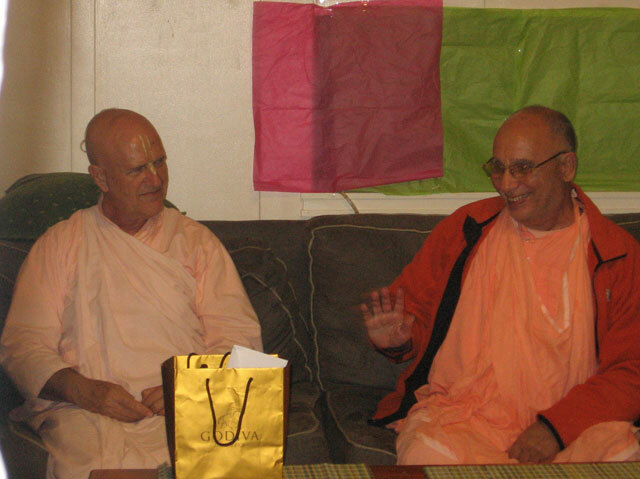 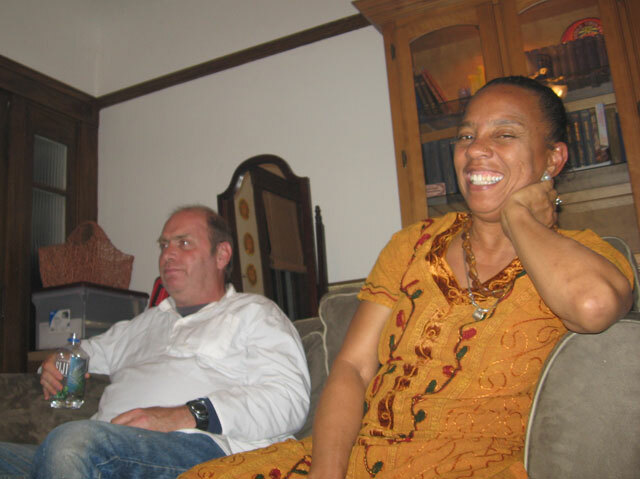 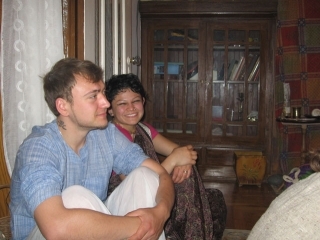 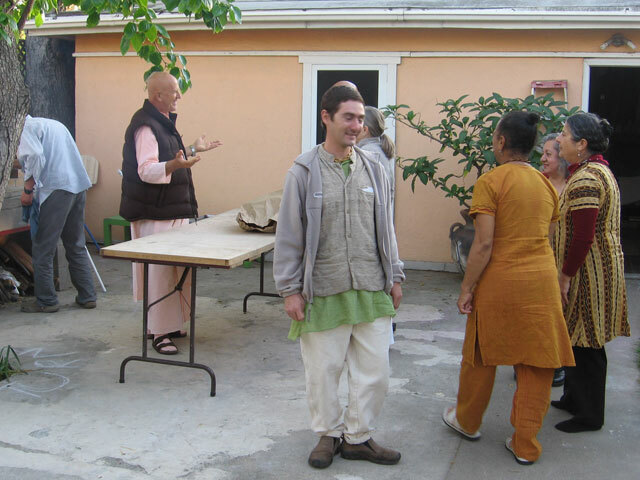 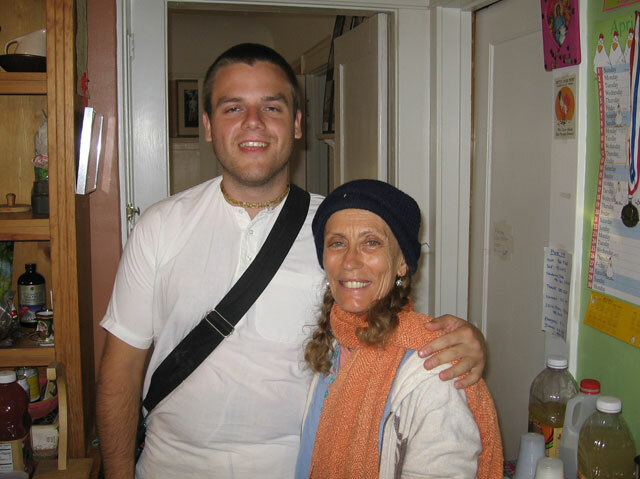 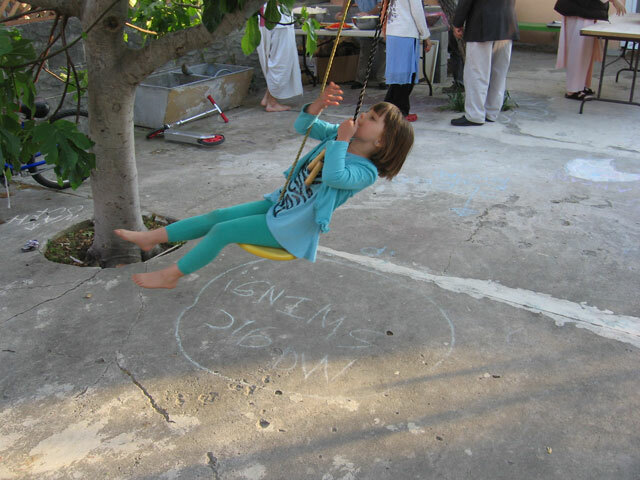 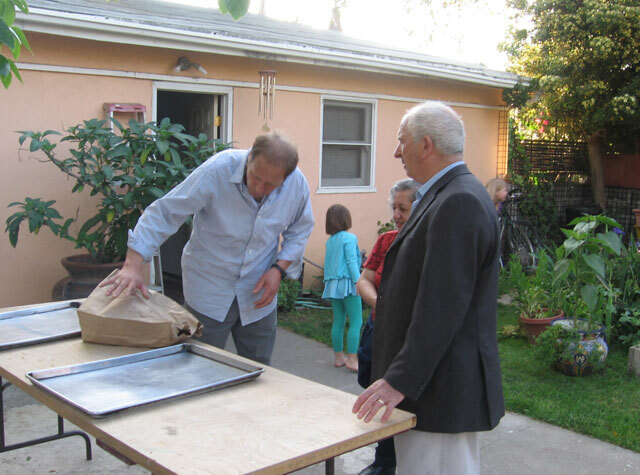 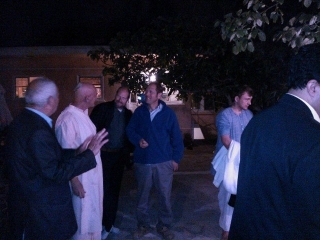 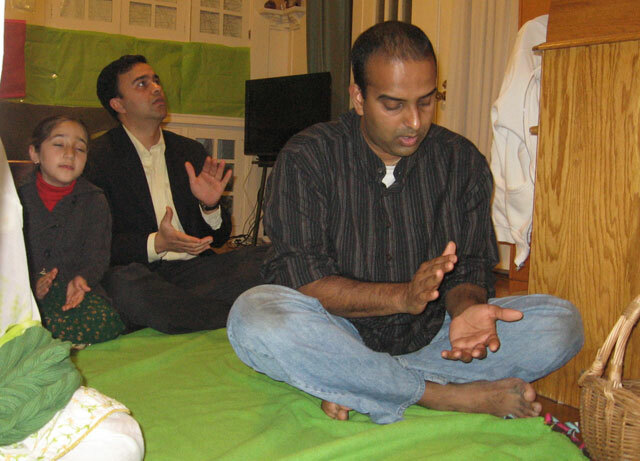 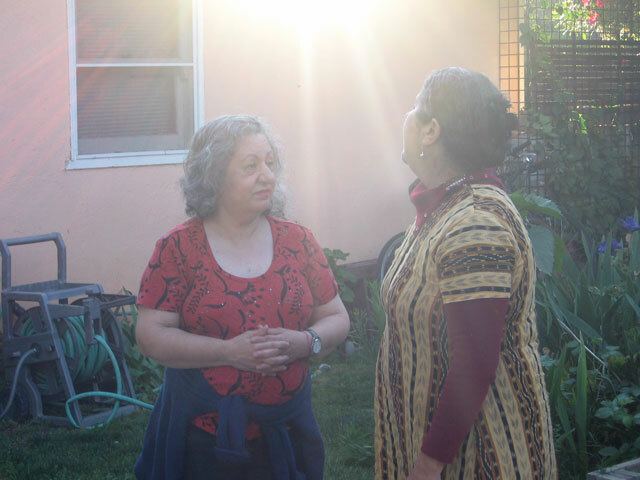 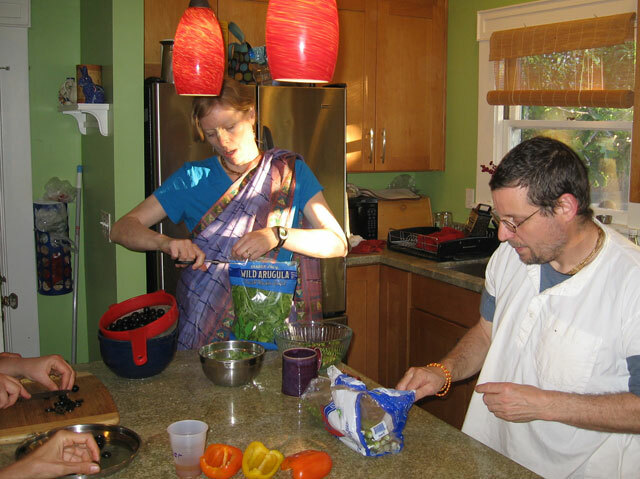 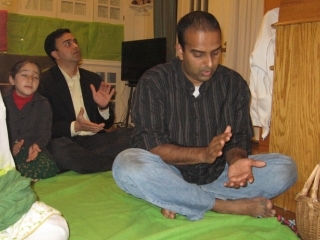 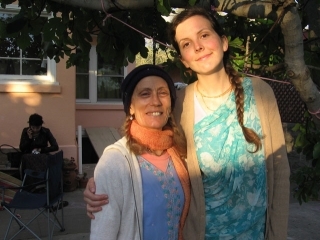 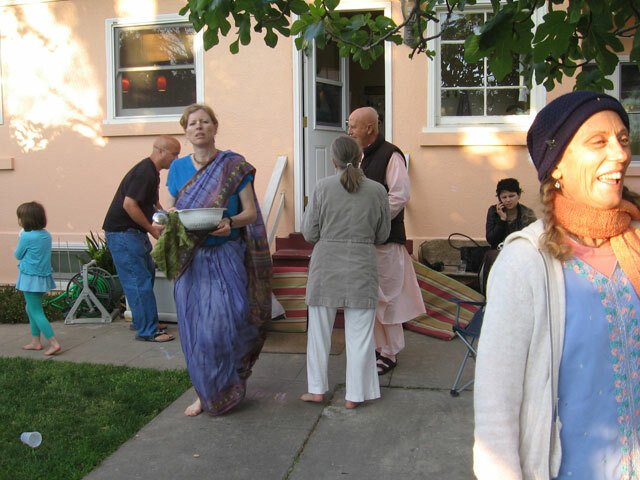 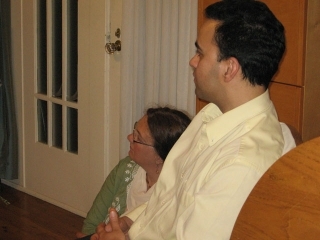 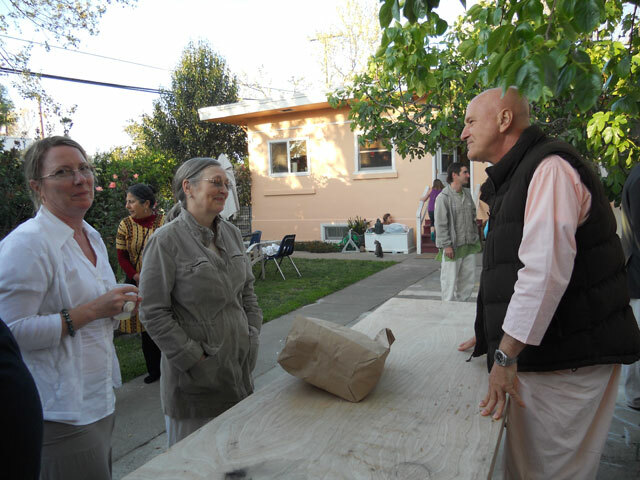 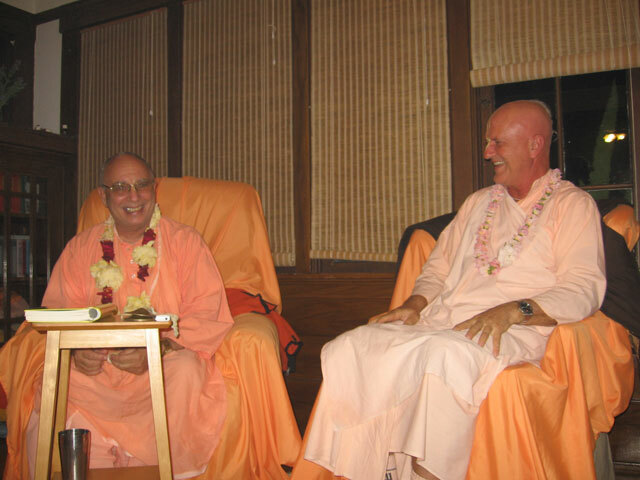 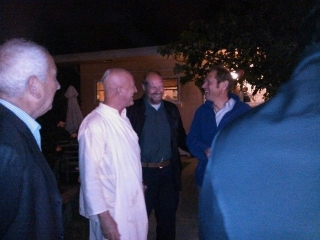 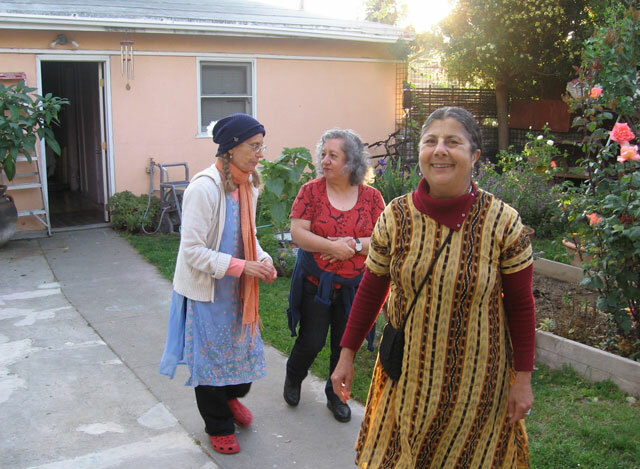 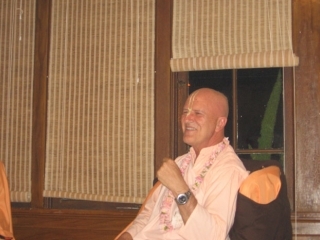 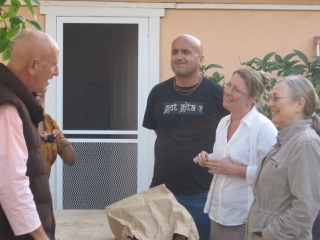 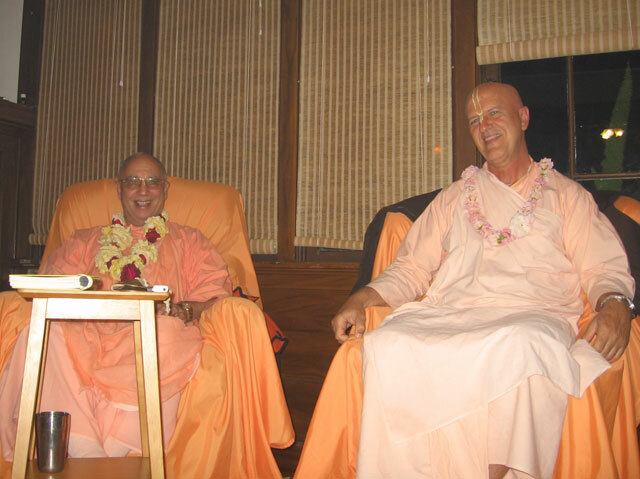 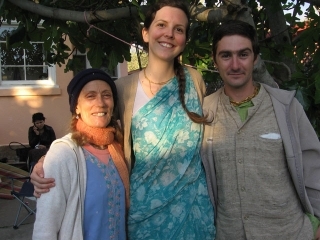 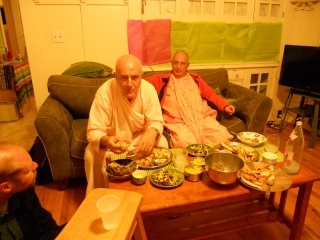 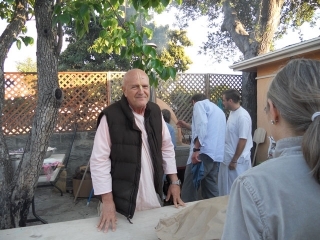 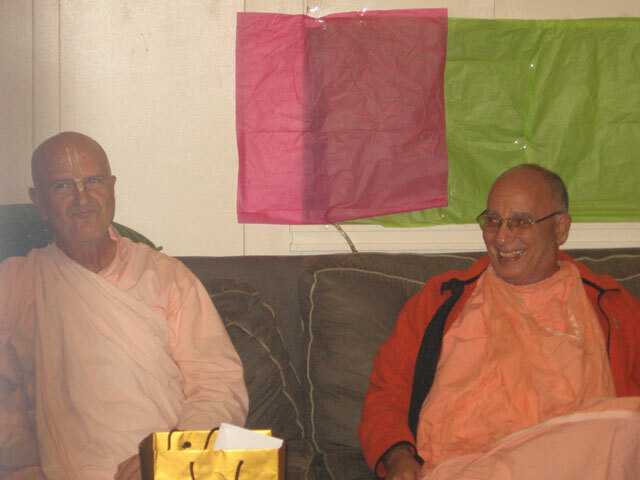 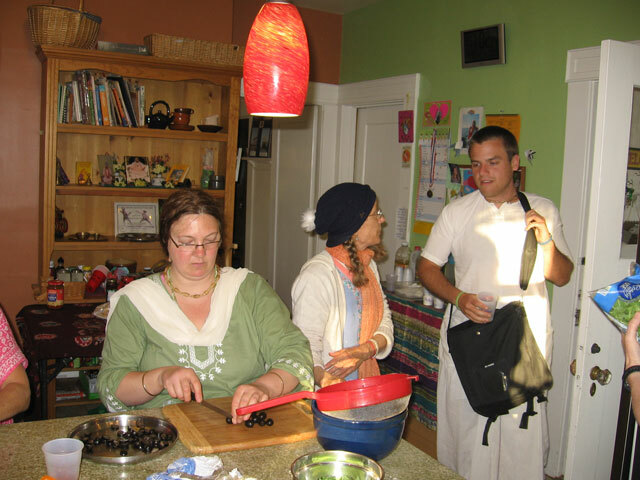 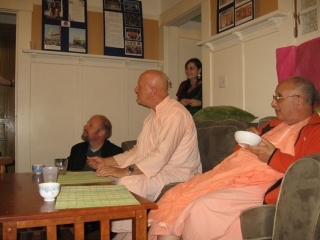 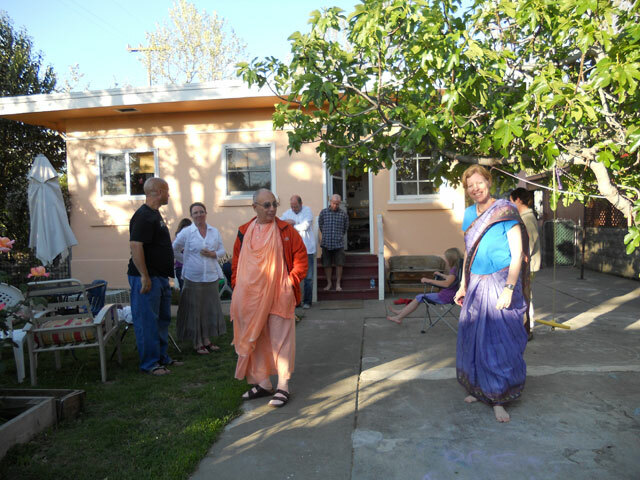 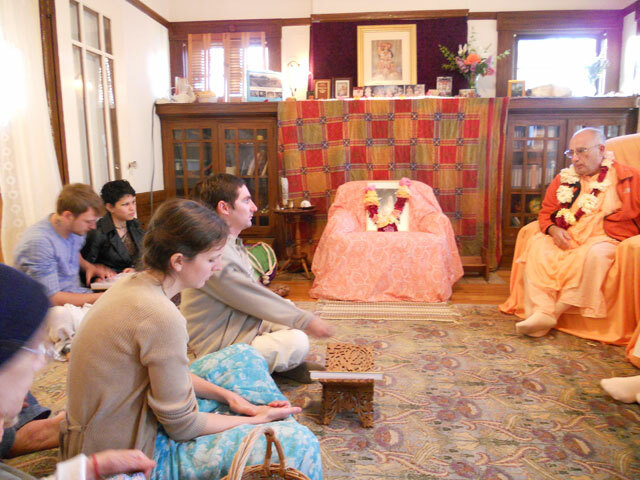 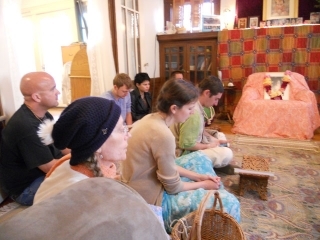 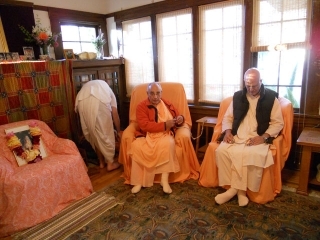 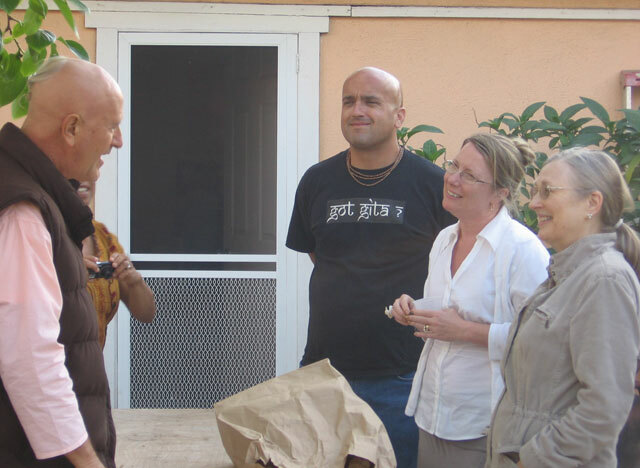 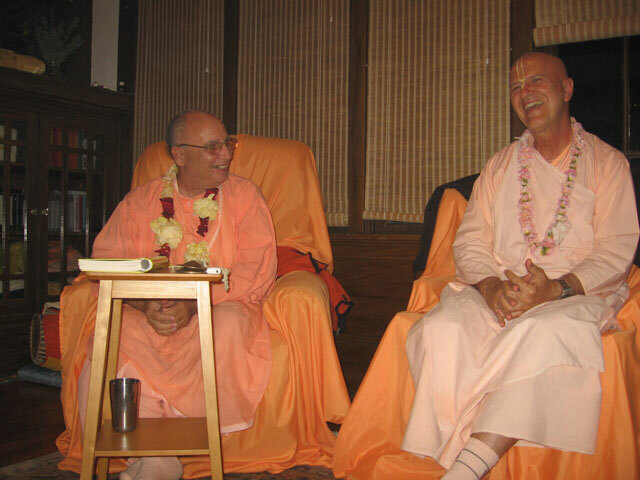 In honor of Srila Ashram Maharaj’s visit to California, Jayanta Krishna Prabhu and Brajamohini Didi hosted a namahatta on a warm spring evening. All Brajamohini’s fragrant roses were in full bloom and many children were playing happily with a litter of kittens in the back yard when Srila Janardan Maharaj and Srila Ashram Maharaj arrived. 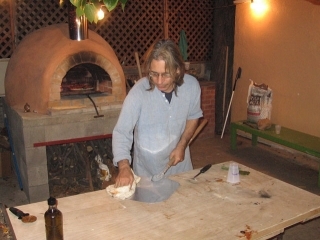 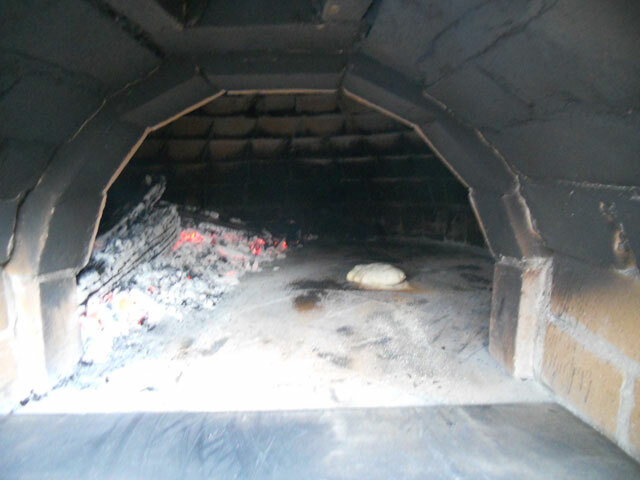 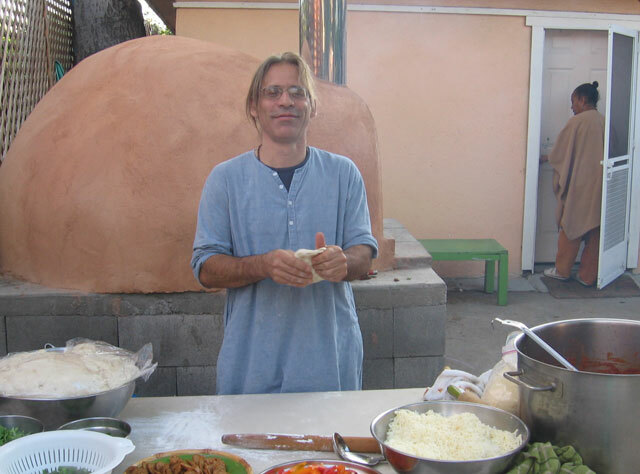 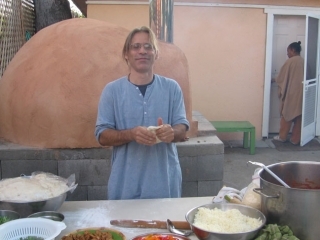 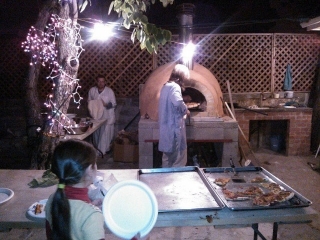 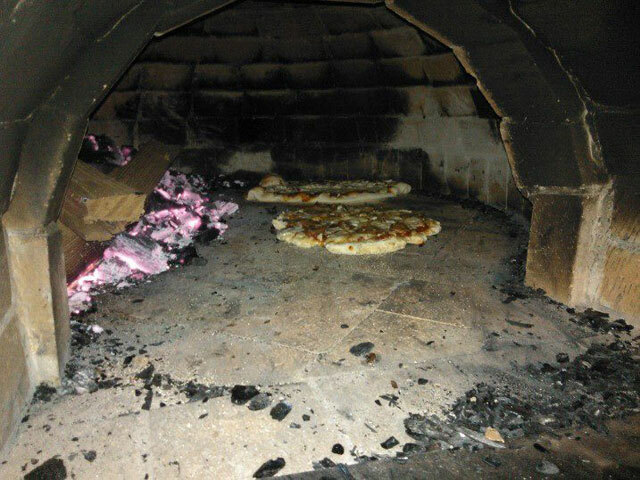 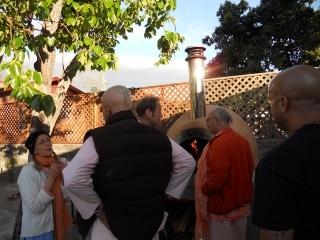 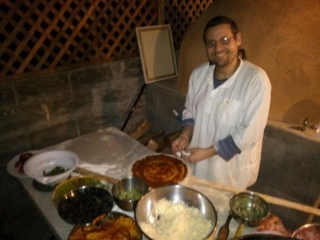 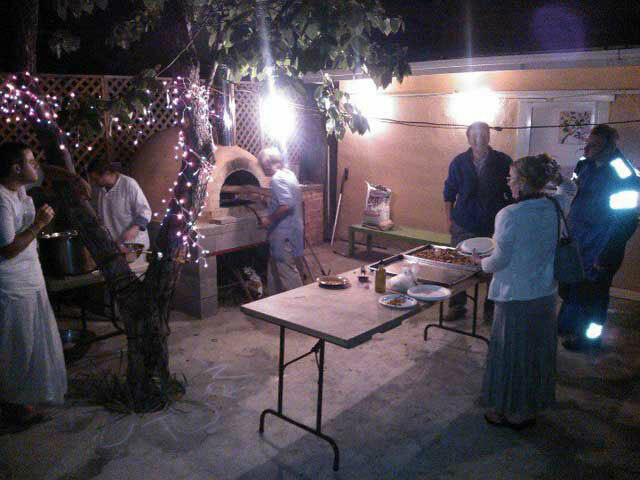 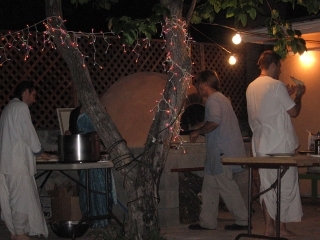 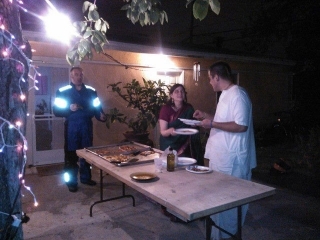 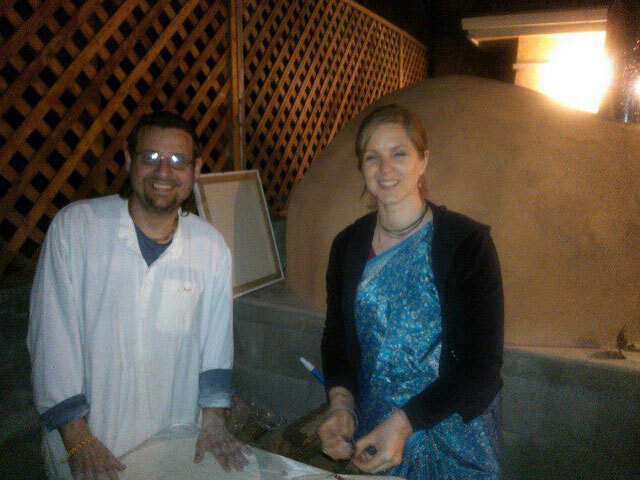 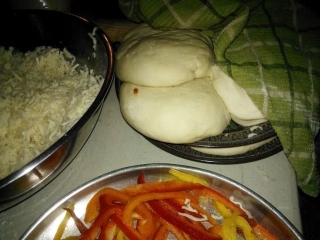 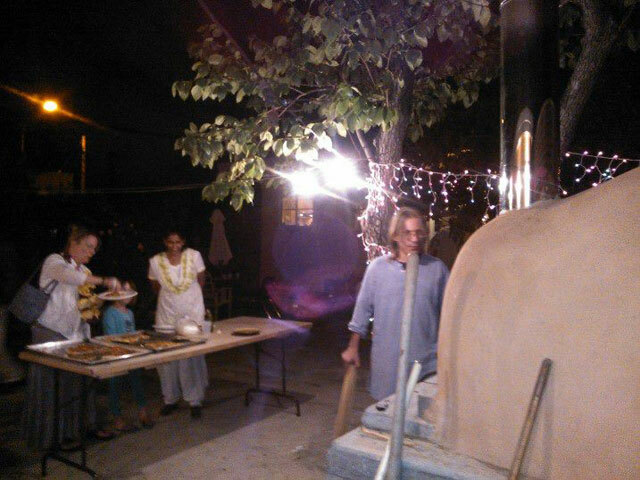 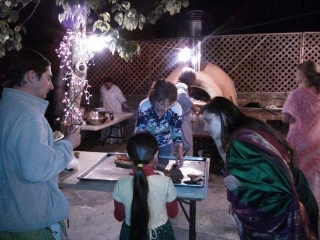 This namahatta had a theme; it was a pizza party to inaugurate the authentic brick pizza oven that Madhavananda and Jayanta Krishna Prabhus have constructed in the garden. 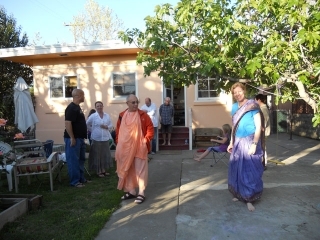 Srila Janardan Maharaj and Srila Ashram Maharaj led a wonderful kirtan including all the songs that are sung every evening in all the temples, and spoke words of encouragement and inspiration. 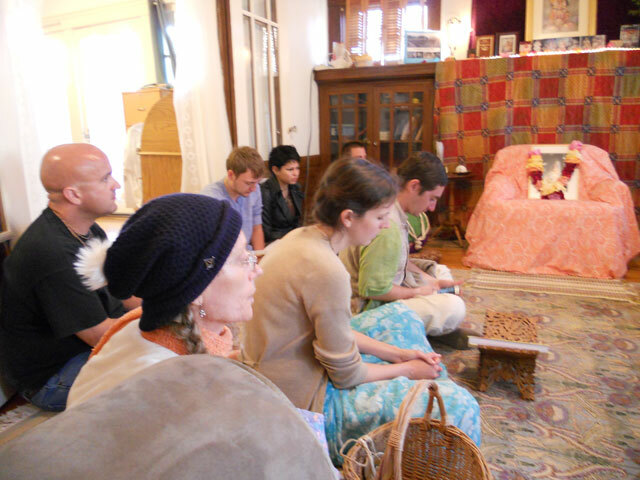 Everyone gathered with them in the front temple room except the cooks (who were preparing a wonderful springtime feast). 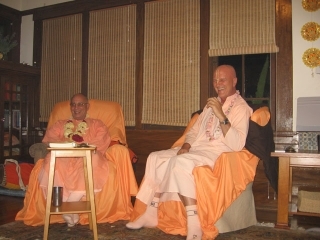 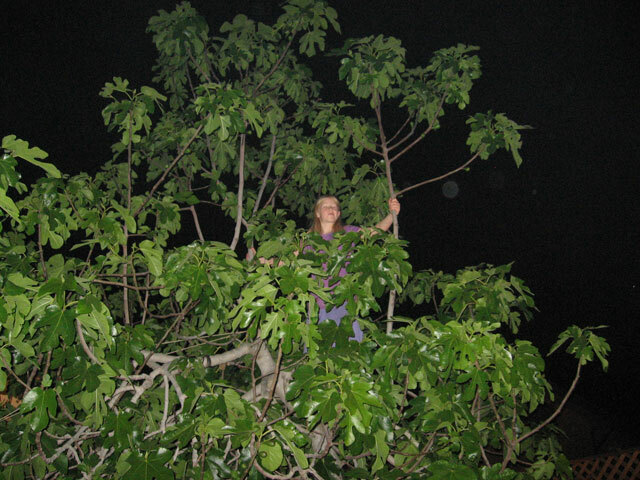 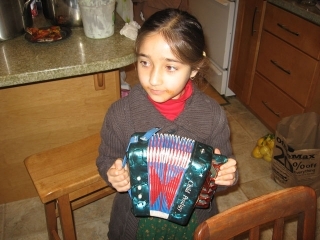 The lecture from that evening has already been posted (click here). 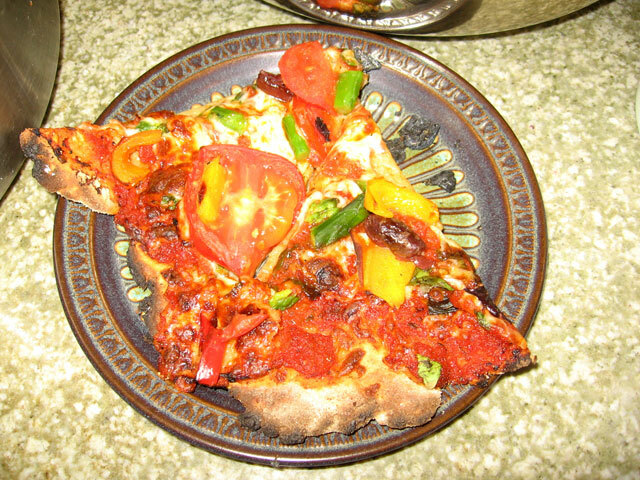 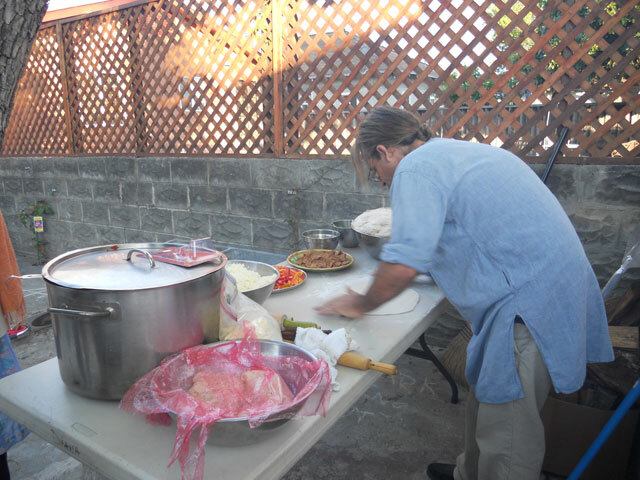 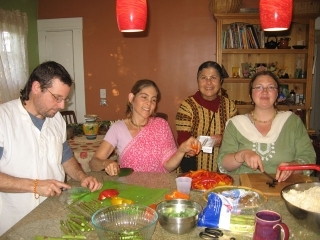 When the program was over everyone enjoyed slice after slice of delicious hot pizza fresh from the oven along with fresh salads and special dishes prepared by the ladies. All glories to Sri Sri Guru Gaurangasundar Mahaprabhu! All glories to Srila Bhakti Pavan Janardan Maharaj! 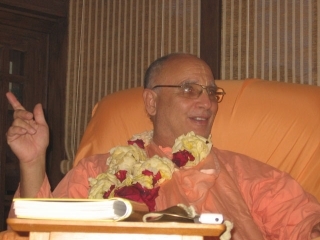 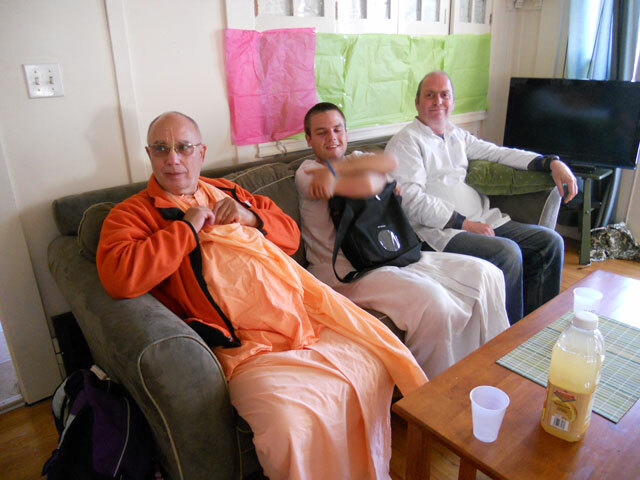 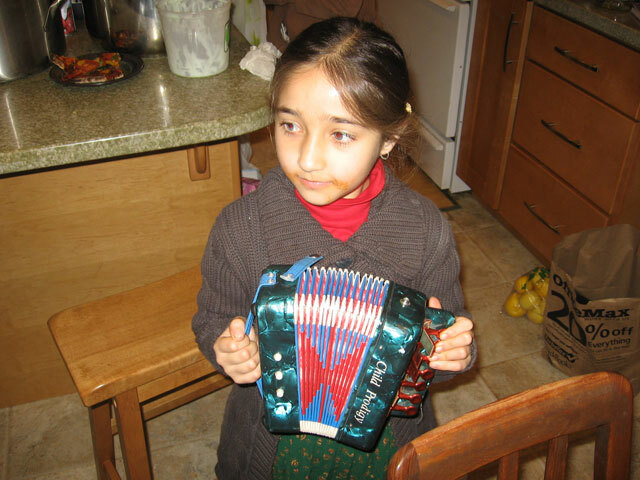 All glories to Srila Bhakti Kusum Ashram Maharaj! 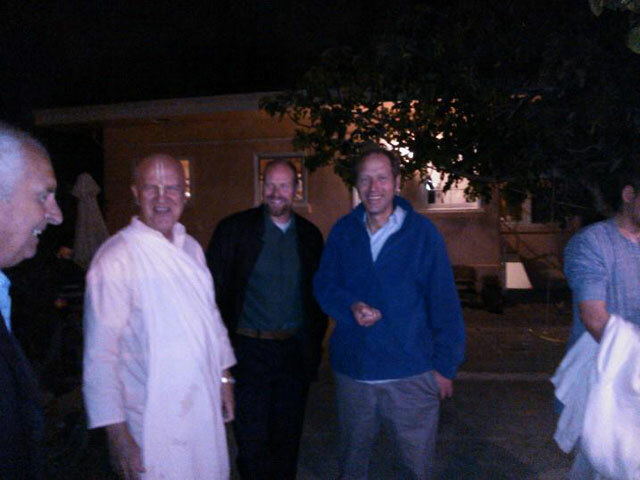 All glories to all the San Jose and Soquel devotees! All glories to Jayanta Krishna Prabhu and Brajamohini Didi’s namahatta!